Fame and Fun at our 2015 Boat Show! The 2015 Boat & Sportsman Show attracted close to 2000 delegates and the bar was raised again! 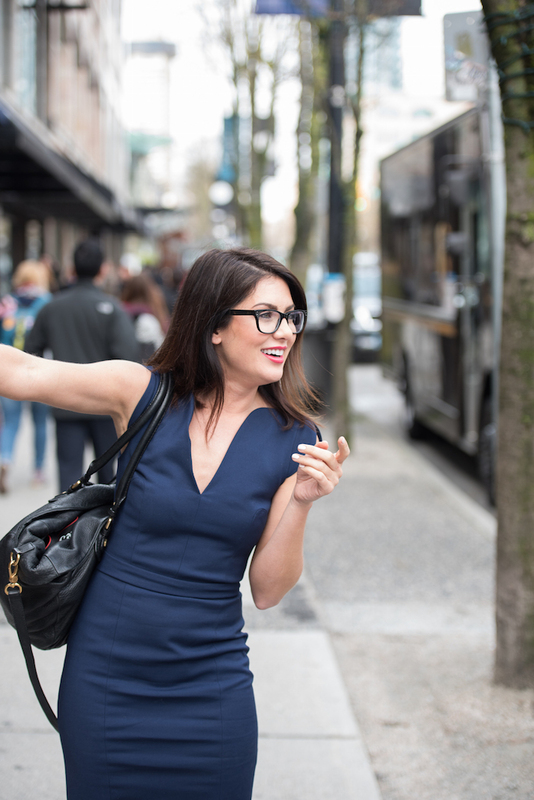 Taking care of the Scrub Captain booth was TV celebrity, Jillian Harris, who has past connections to Extreme Makeover Home Edition & Bachelorette! 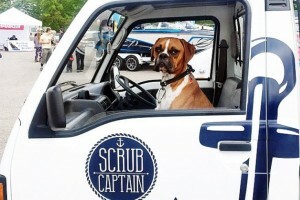 Jillian and her Boxer pup Nacho Cilantro, were making everone feel very welcome to her partner Justin’s new mobile boat cleaning and detailing business! There were 2 Boat Races , one was the “Tunnel Speed Boat” at 100kms and the the McLellan F1 at 140kms with 60kms hairpin turns around the corners! 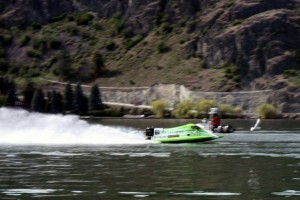 The McLellan F1 is comprised of an extremely dedicated group of volunteers that are not just dedicated to boat racing, but the community they are from, and the sponsors that they represent. Follow driver, Mike McLellan, crew chief Andrew Forbes and the whole team all season long as MIke takes on his second Formula 1 season. 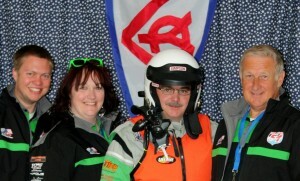 The McLellan F1 is Western Canada’s top Formula1 Racing Team.Updates from all over the continent! Community events, sponsor displays, test sessions, and especially race weekends will be on their McLellan F1 Website. 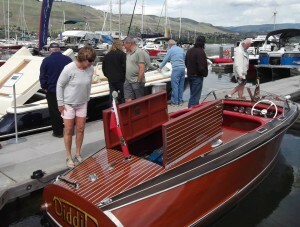 A bsolute Classic Marine brought their infamous “Diddit” boat to show off to admiring visitors. This boat as are all their boats, is impeccably detailed and refinished. Absolute Classic Marine provides neo classic boats from European and North American builders. All boats sold by ACM are either classically styled or involve some form of wood detailing, are limited production or custom ordered – basically designs that set them apart from the sea of white that dominates our lakes. They pride themselves in their great selection of Classics from the 20’s to the 60’s of all makes and sizes. 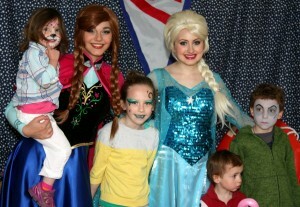 Dream Party Productions and Face-painting were two of many events on the kids agenda and the ever popular Disney Princesses put on a party mood with the children and were in the audience grabbing photos with kids whenever possible! We had over 36 vendors this year including some new water and outdoor & sporting goods companies to fit with our “Sportsman” theme. Our key volunteer organizers for the 2015 Boat Show were Chair: Rob Mathews; Staff Captain: Karol King and Publicity: Chris Grotterod with close to a record 95 volunteer members plus the cheerful and hardworking VYC’s Staff helping them! Without the dedication of these individuals, our events would not be possible! 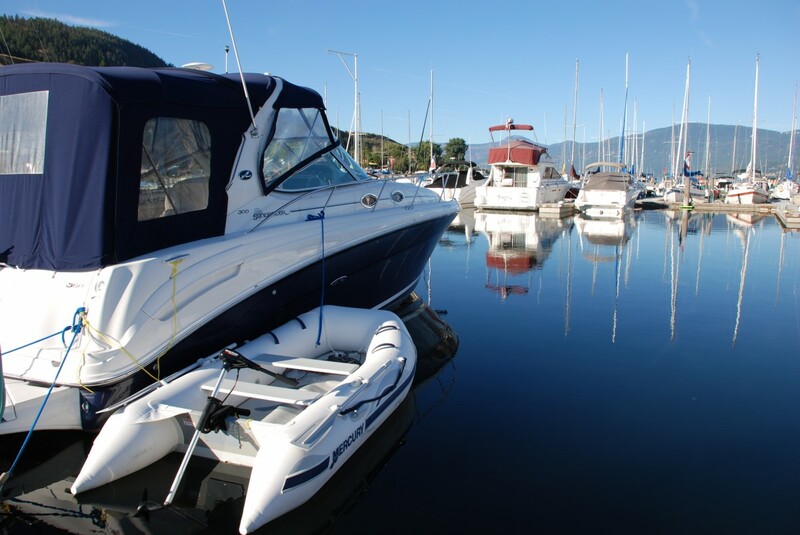 Thank you to our amazing Vernon Community for coming out and supporting our 2015 Boat and Sportsman Show! See you next year! This entry was posted in News on 2015-05-15 by Vernon Yacht Club.